Whether an area to host formal guest dinners or a table for home work of your kids or just a space for casual family dinners, dining room is all about people coming together for some delicious food over some fine wine and lots of conversations, banters and laughs. We are sure you wouldn’t want it to be just another area to catch dust until the next party is planned. 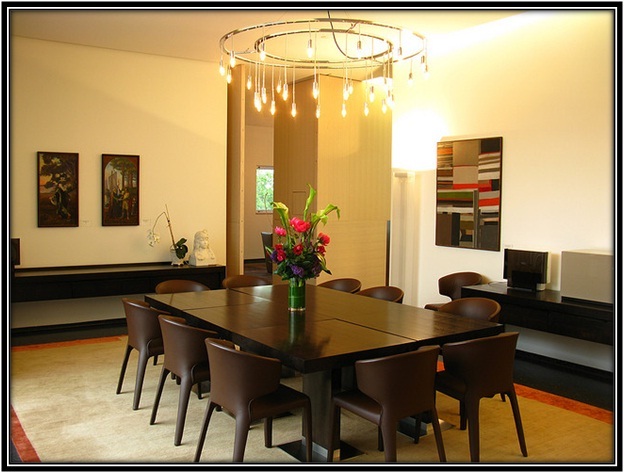 And hence, creating a healthy ambience with some smart dining room design ideas can help to make it attractive. Whether planning on big decisions like furniture or small makeovers like placing accessories, having a stylish and comfortable eating space should be your priority. When was the last time you realized the full potential of your dining space? We are sure you don’t even remember as this space if often neglected. 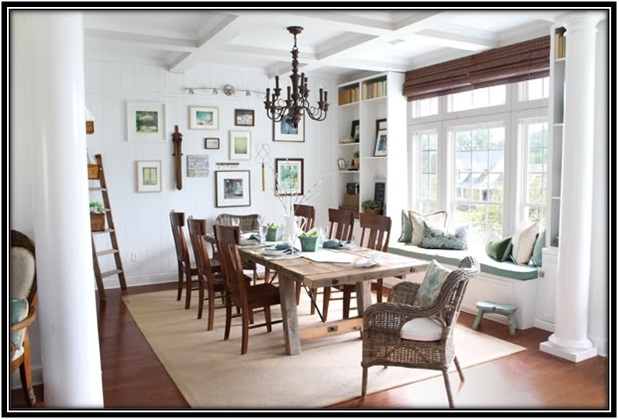 Dining room also needs a little attention and we present to you in today’s blog inspirations to transform your dining space without getting expensive in its remodeling. 1. 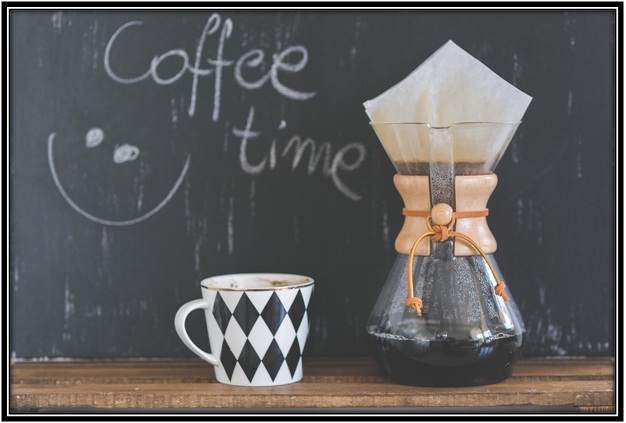 Do It Yourself Coffee Bar – if you cannot do without coffee, building a do it yourself coffee bar is highly recommended in your dining space. You can make use of your cabinet to make a live coffee bar and have floating shelves right above to hold cups and ingredients to make coffee. Further to give it an old café look, paint a chalkboard wall right behind it. Isn’t this quite stylish and easy!! 2. Bold Lightings – enough of fixed ceiling lights. It is about to time to experiment. And why not pretty chandeliers this time!! Having a chandelier of decently good size (in accordance with your dining table) will give your dining space an elegant look. 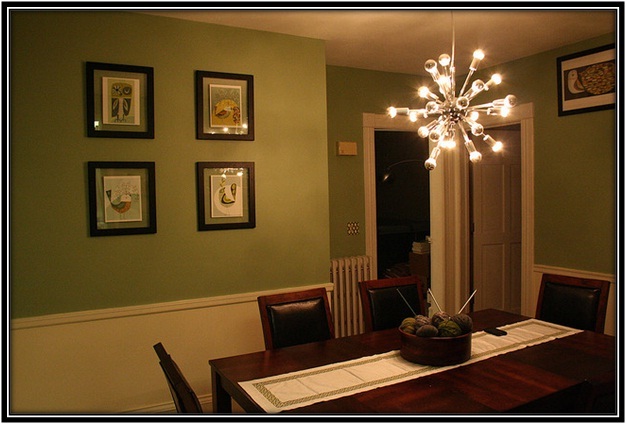 General tips for choosing light especially a chandelier for your dining table is – pick up a fixture that relates to the overall design of the dining room and it should be of length and width proportional to the size of the dining table for the desired effects. a. Gallery – turn the wall into a gallery by displaying your favorite artwork or even frame a quote or picture you like the most. 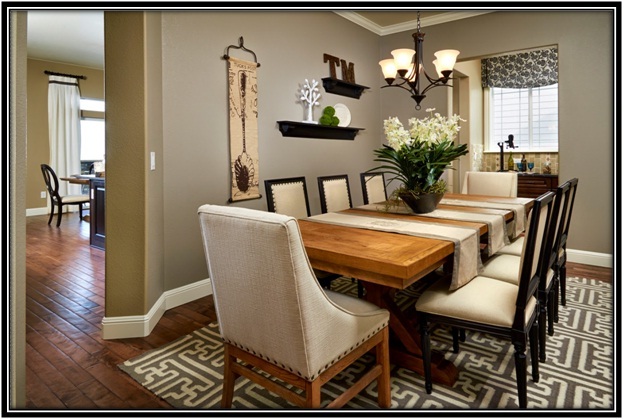 b. Plates – hang antique plates, it’s time to ask your grandma about the plates she used and hang them on your dining space walls. c. Artistic – you can experiment this time and get the hidden arts in you on the walls. This will certainly speak volumes of your personality. 4. Center Pieces – apart from the beautiful cutlery, crockery and linens, do not forget to make your dining table more appealing by placing center pieces. A small vase with pretty fresh flowers of the season is one of the easiest and attractive center pieces one could have.